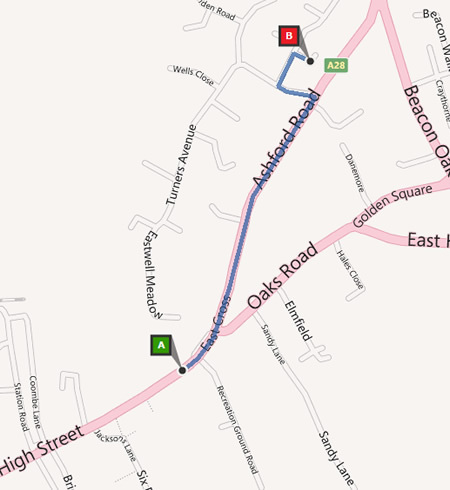 Follow the main road (A28) through St Michaels, look for a fire station on the right, then Homewood School on the right. About 1/2 mile past Homewood School turn right into Turners Avenue. Turn 1st right and then 1st right again into St Benets Court. Drive through the middle of Tenterden past all the shops following the A28. About 1/4 mile past the last of the shops turn left into Turners Avenue. Turn 1st right and then 1st right again into St Benets Court. Strictly by appointment only. 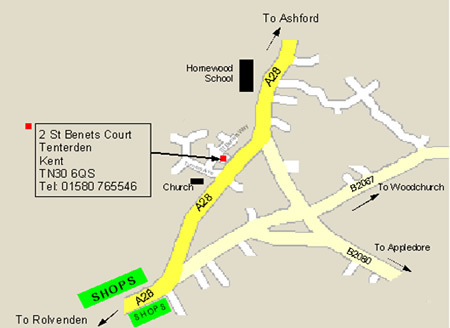 Turn into Turners Ave in Tenterden, take the 1st right into St Benets Way, then the 1st right again into St Benets Court. St Benets Court is a court of 6 private houses. No.2 is at the top slightly left. Local parking is available in the surrounding roads. You are very welcome to use the spare space on the drive (if not taken). My name is Sue Ferguson and I am a chiropodist and podiatrist specialising in routine chiropody, biomechanics and orthotics, and nail surgery for ingrowing toenails. I help people with painful feet and when necessary I can change the way you stand and walk with orthotics. I am careful, kind and thorough, and have high professional standards. Contact me for an appointment, you don’t need a doctor’s referral.